CLARE Park offer a quality Ready to Run Sale Preparation service at competitive prices with proven results. 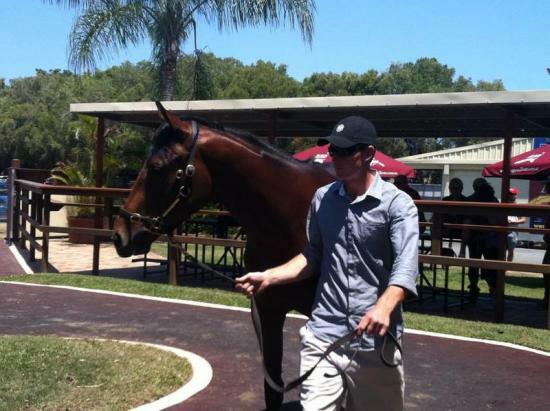 The 2013 draft has already been well represented on the racetrack with the debut winning 'Deconstructed' (Street Cry x Quaffle On), who was sold to Mark Kavanagh for 100k at last years Magic Millions Horses in Training Sale at the Gold Coast. He was a lovely colt who ran a swift 10.84 at the Breeze Up's. Clare Park will offer an outstanding draft again at the 2014 Magic Millions Horses in Training Sale in September. First season sires will be represented with outstanding individuals by Denman, Stryker, Shellscrape and Congrats. A Denman filly out of a Snippets mare and the Stryker colt, lot 260 Magic Millions Adelaide Premier Yearling Sale, are both big, strong types with plenty of scope. Also from the Magic Millions Adelaide Yearling sale is Lot 282, well balanced strong colt by Shellscrape, out of a winning Bel Espirit mare. Our draft also includes lovely athletic individuals by Hussonet, Husson, Casino Prince and Any Given Saturday. We are still taking horses for the sale until the end of June and will currently be offering 12 yearlings. Please refer to our price table to get a quote for your horse. These prices are all inclusive with no hidden costs. Listed as 'Yearlings' in our side column 'Our Horses' list.